The Pakistani government has presented a new proposal to the Iran’s petroleum ministry for settlement of a dispute on an incomplete gas pipeline running between the two neighbouring states, said a top Iranian official. Ali Majedi, deputy petroleum minister for international affairs and trading, said the proposal was recently submitted to Petroleum Minister Bijan Namdar Zanganeh. “In their proposals, the Pakistanis have offered different solutions for accelerating the construction of (Iran-Pakistan) IP pipeline and have demanded action on the issue. The details of the proposal are being studied,” IRNA quoted Majedi as saying on Tuesday. He did not reveal details of the Pakistani proposal, but rejected reports of Pakistan demanding two billion dollars in aid from Iran to build its own section of the pipeline. Pakistan desperately needs to import natural gas from Iran to resolve its load shedding challenge. 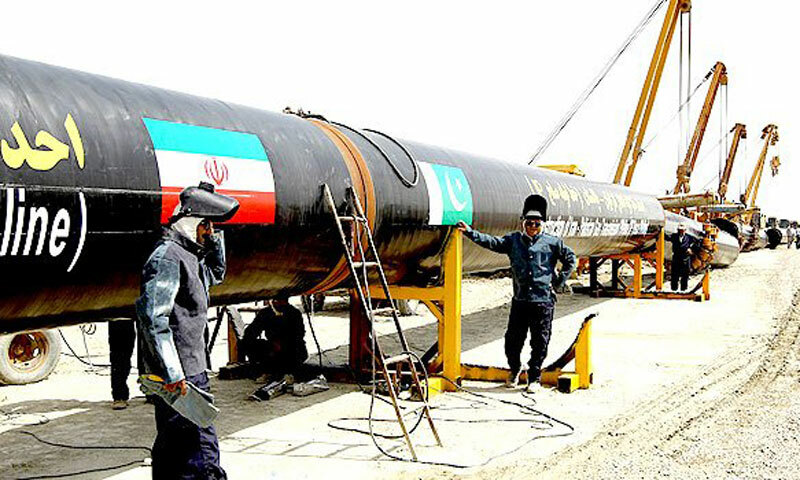 Iran has already built its 900-kilometer share of the pipeline on its own soil and is waiting for the 700-kilometer Pakistani side of the pipeline to be built. Iran and Pakistan signed an agreement for construction of a gas pipeline in 1995. Later, Iran made a proposal to extend the pipeline via Pakistan into India. In February 1999, an accord between Iran and India was signed. But due to US pressure, India withdrew from the project in 2009. When will we do what you are say Naeem to Nawaz Sharif. President Musharrf threw him out of the Country but Pakistani People brought him back to Power. Nawaz Sharif works under Saudi kings agenda and thats why pipeline project was postponed.